Does it matter if my dog eats cat food? If your chihuahua is anything like Minnie, then they might well like to tuck into a bowl of cat food. Similarly, if you leave kibble down for your dog during the day, you might find that your cat likes to help themselves too! Does it matter if my dog eats cat food? Dog and cats are both carnivores, which means they are meat eaters by nature and have the teeth, and digestive system enzymes that can deal with meat and break it down. Based on this can there be much difference in their food? Cats do have a very distinct difference from dogs in their nutritional profile. Cats are obligate carnivores. For cats, this means that they absolutely must have meat and animal protein in their diet. They are unable to make much nutritional use from carbohydrate and plant matter and get their energy from protein. They may include other food stuffs, but without a very high level of meat protein they will quickly become undernourished and ill.
A dog on the other hand, can eat and survive on plant material if it must. They are facultative carnivores, primary meat eaters, but can eat veg and fruit as well. (But that does not mean they should be fed a vegetarian diet.) Read Can my dog be a vegetarian? So, what does this mean at kitchen floor level? Cat food is a very high in protein and if eaten by your dog over long periods of time, can make your dog fat, cause diarrhoea and put his liver under pressure to deal with the additional high levels of protein. Dog food does not meet your cats needs at all. Much of dog food contains fruits and veggies that are beneficial to your chi but not good for the cat. Fed over time, your cat could become malnourished and ill. 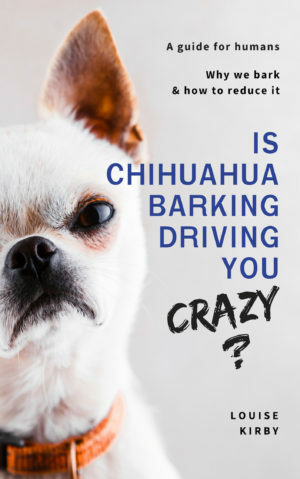 If you find your chihuahua gobbling up the remains of the cat’s dinner every day, then you need to make plans to stop this happening. Cat food is high in calories and, fed in addition to your dog’s daily food allowance, it is a ticket for chubby town. If your cat is tucking into kibble left down for your dog, sort this out as well. Having regular meal times will be beneficial to both parties. Put your dog’s dinner down, give him ten minuets or so to eat it, then lift it and save it for the next meal. (Regular meal times is good for behaviour as well as nutrition.) Read: Why you in charge = happier chi where we talk about food and meal times. Everyone runs out of pet food occasionally, and in a tight spot a healthy dog or cat is not going to be caused any long-term harm if they are fed each other’s food. But, it is not a good long-term strategy for either species. Previous Post Why you must stop feeding grain & carbohydrate to your chihuahua! 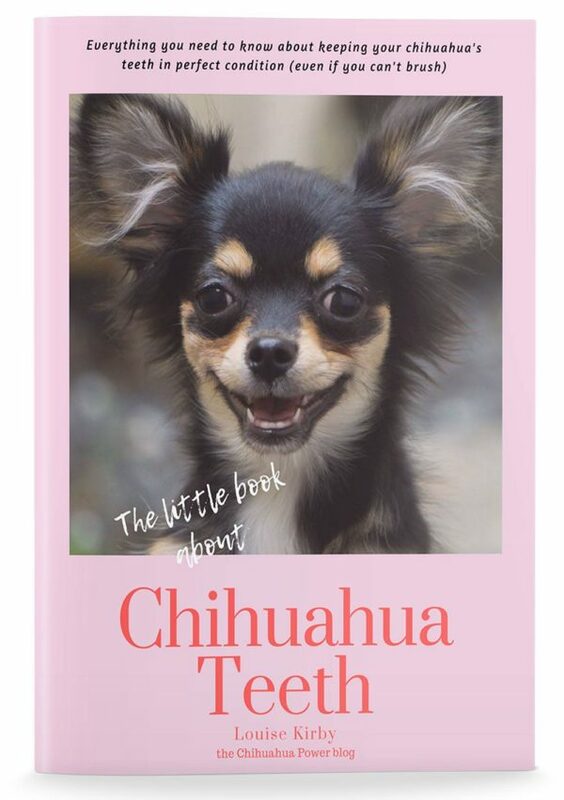 Next Post Help my chihuahua has dry skin!